As a Essex County Divorce Lawyer, I get questions all the time from clients about the how long it takes to finish the divorce process. Once my clients have filed their divorce complaint, the next question inevitably is going to be how long this will take. I always say part of that is going to depend on you and part of that will depend on your spouse. The quicker we can exchange financial information, and sit down with the children involved and talk about how we’re going to share the children, and how we’re going to share their expenses. The quicker we reach a settlement, the quicker you can be divorced. I’ve had cases that settle in just a few months, 3 or 4 months, and I’ve had cases that have dragged on for 18 months to 2 years because the parties just cannot come to an agreement and we wind up going to trial. It really does depend on how negotiable each side is, how entrenched they are in their position, and how willing they are to put some of their emotional differences asides and really talk about what’s best for the family. Divorce can be a long and complicated journey, where many questions may arise. 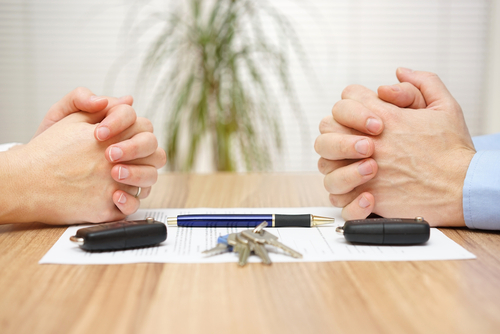 Contact our Essex County Divorce Lawyer for guidance. This educational blog was brought to you by Tanya L. Freeman, a Essex County Divorce Lawyer.